The annual Indaba meeting took place once again and this time it was held across borders in Nairobi, Kenya from October 3 to October 5. Our various country managers attended, with the focus of the meeting being on critical issues concerning strategies and budgets. The focus was on getting an overview of past success and failures and what can be improved in terms of consumptions costs, compliance issues, acquiring new businesses and so forth. The team held presentations for each country and support function area with discussions on key issues and strategy for GSS in 2020, as well as budgets for 2017. 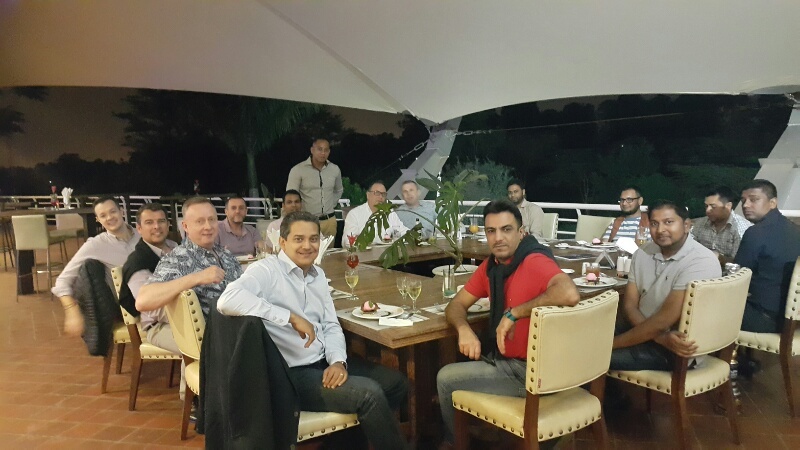 Executive Vice President, Marek Sheridan joined the managers on October 5, where they also had the chance to visit and dine in our very own newly refurbished restaurant, The Deck.